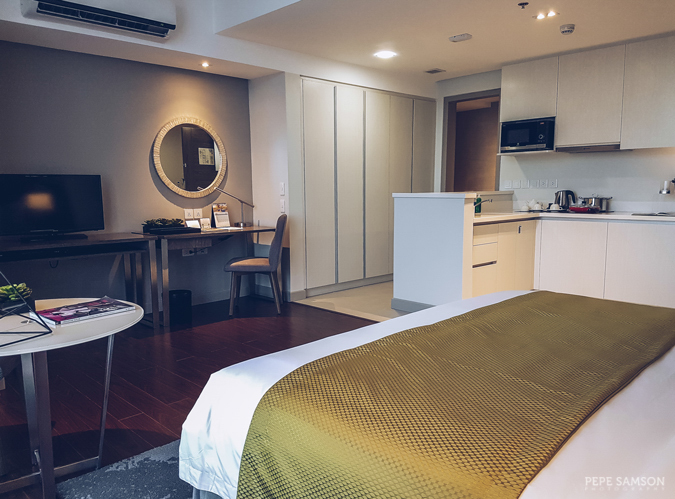 The opening of Citadines Millennium Ortigas Manila marks a new milestone for the Ascott Limited Group. 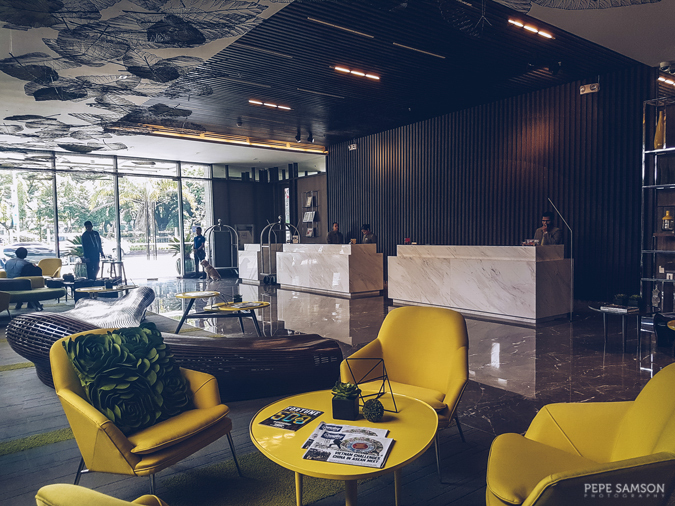 For one, it is the first property of the international serviced residence brand in the northern part of Manila—a delightful addition that would surely spice up the competition in the hospitality sphere. 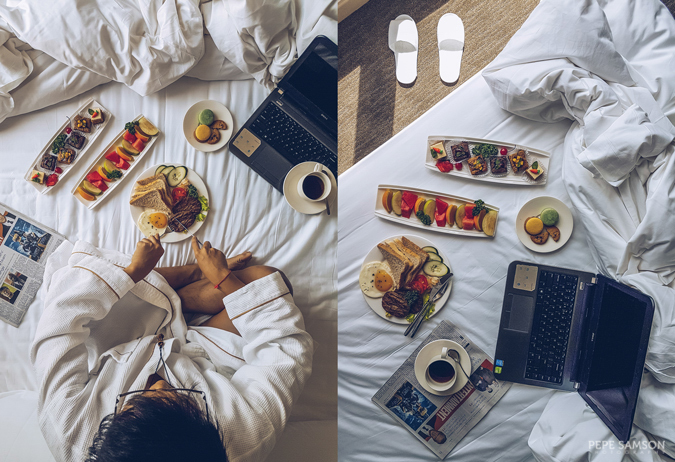 In addition, Citadines’ vibrant branding gives young travelers a world-class option—whether they are staying for business or leisure, guests have a luxurious abode that offers them accessibility to what their destination has to offer and allows them to get immersed in cultural explorations. 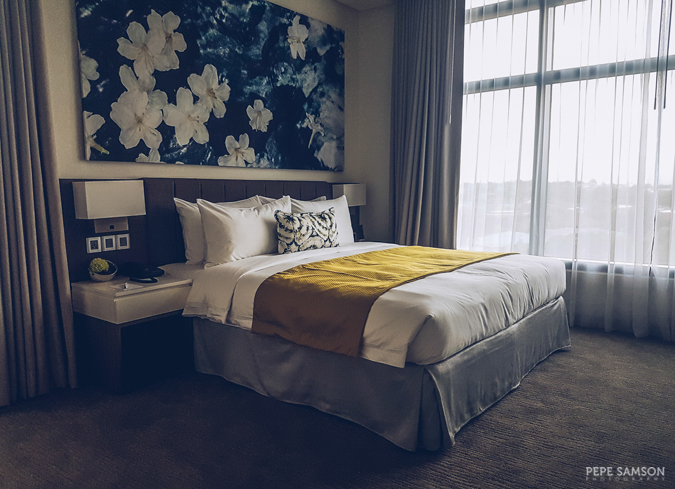 Set at the heart of Pasig City, Citadines Millennium Ortigas Manila is throwing fresh punches in the battle of being the best hotel in this part of the metro. 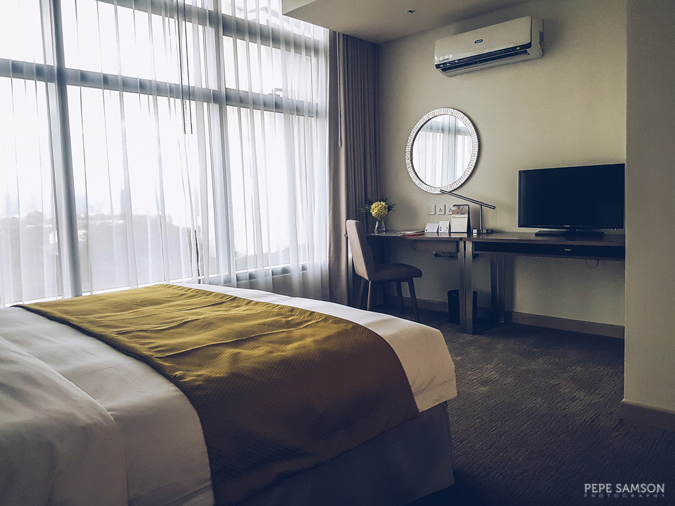 Strategically located near commercial and business centers, retail and dining hubs, and lifestyle venues, the hotel—actually, "aparthotel"—serves as the home base for travelers seeking to make the most out of their trips. 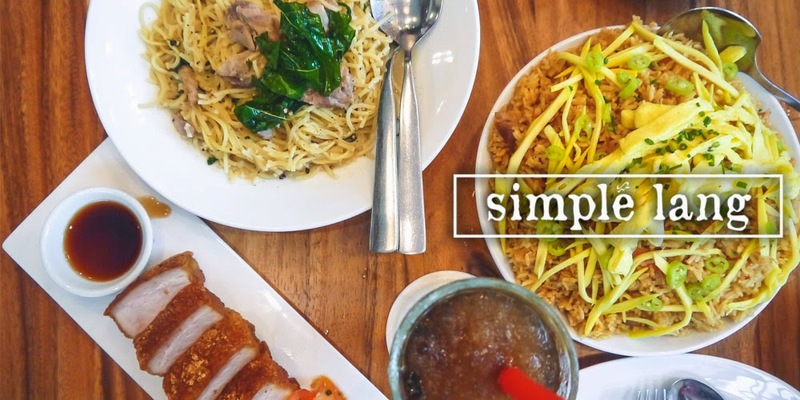 With a design that overflows with artistry and a brand of service capable of capturing even the pickiest guests, it commands attention—and unapologetically so. 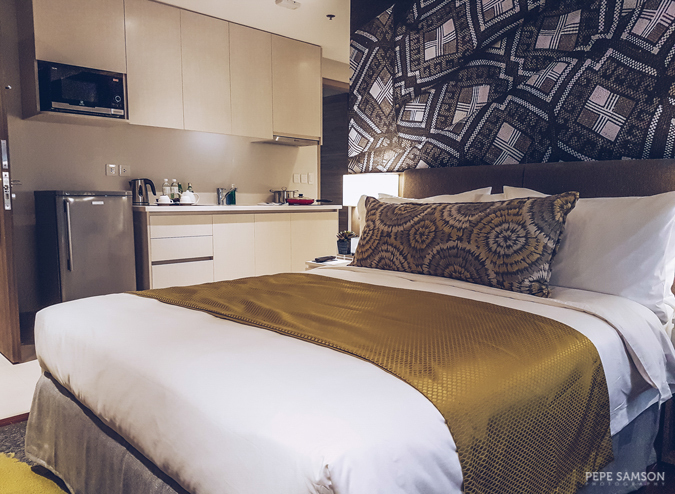 Read on to find out more about Citadines Millennium Ortigas. 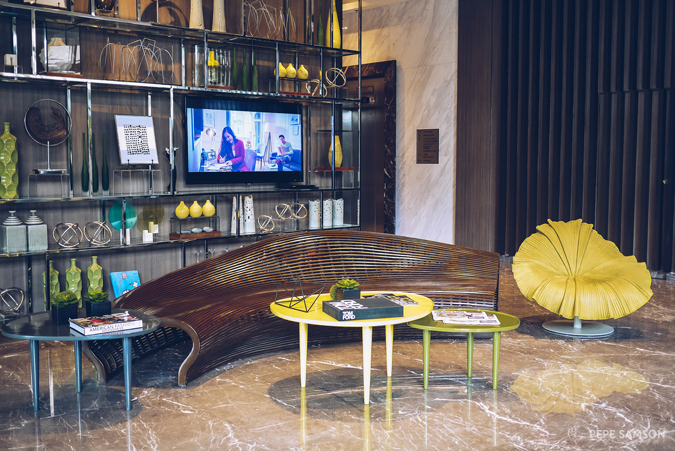 As guests arrive into the lobby, revealed is a beguiling sign of things to come with bespoke pieces, carefully-selected artifacts, brilliant use of spaces, and a vibrant yellow and green color scheme that truly portrays this fresh newcomer. Chic furniture mingle with local touches, as do colors with neutrals. 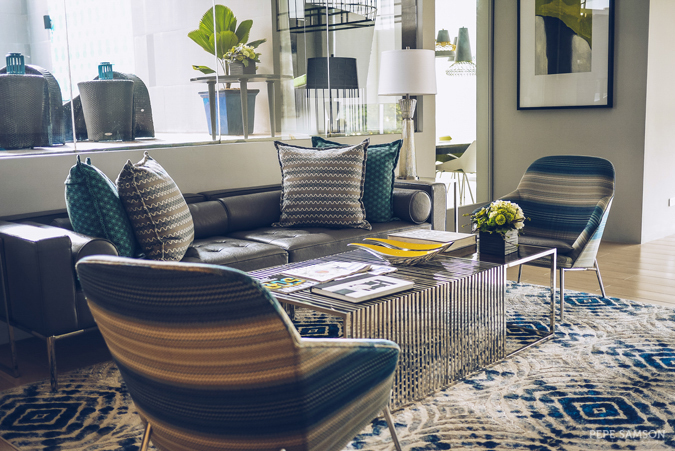 Every corner of this welcome space sets the tone for your stay. The friendly and polite staff echo the warmth of the lobby’s hues: the doorman checked my bag upon entry and afterwards offered to take it to the luggage trolley; the receptionist processed my reservation smoothly, and within minutes, was leading me to my apartment in the 6th floor—a beautiful one-bedroom unit … but I’m getting ahead of myself. 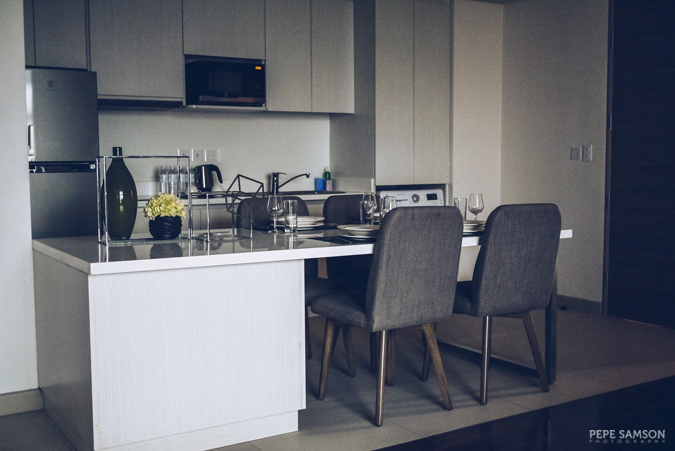 Citadines Millennium Ortigas boasts of 293 elegant and artsy serviced apartments ranging from Studio to 1-, 2-, and 3-Bedroom Executive units. 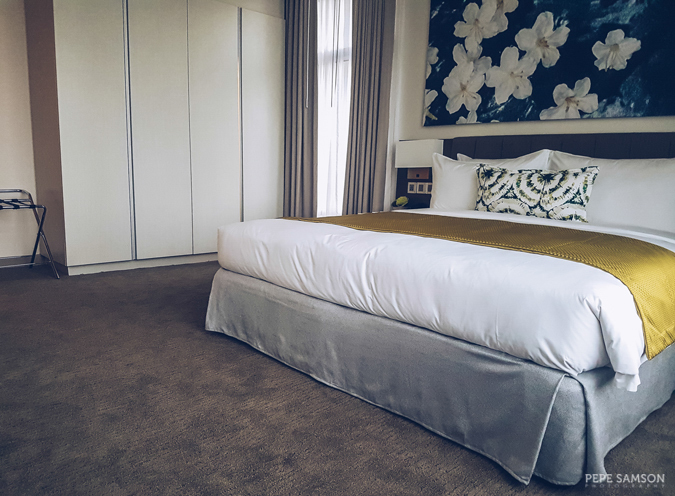 Each is spacious and well-appointed, with comfortable living and dining areas, a fully-equipped kitchen, and en suite bathrooms. 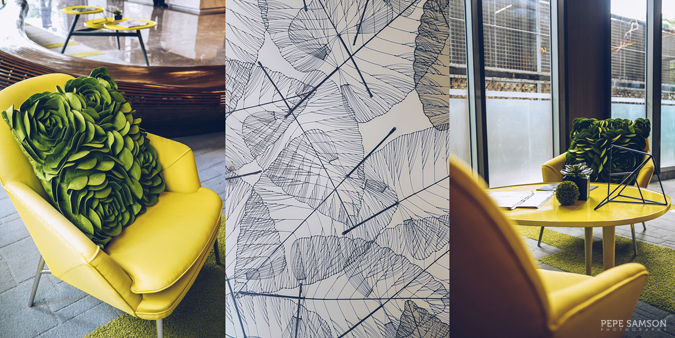 Contemporary art pieces are found everywhere, and you couldn’t help but admire the little details. 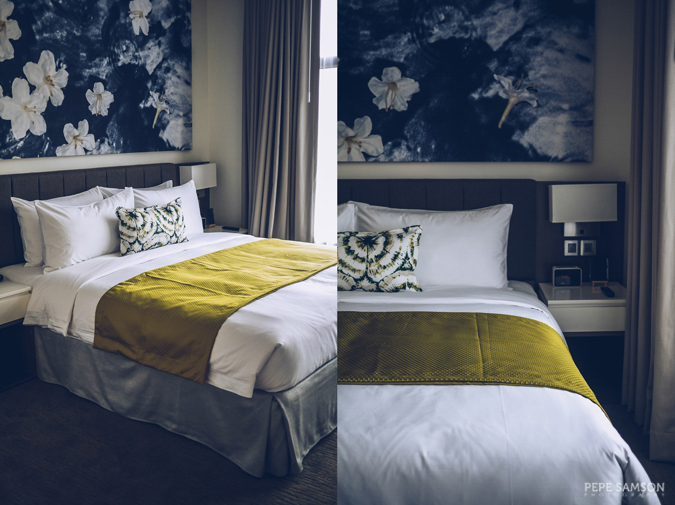 We stayed in a 1-Bedroom Executive (check rates), an 82 sqm. unit offering sweeping city views and luxurious spaces. 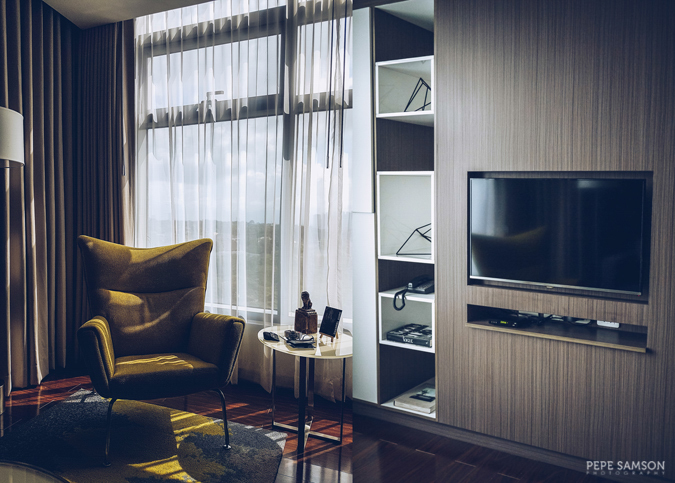 The door leads to the living area furnished with a sofa, a coffee table, and an armchair beside the floor-to-ceiling windows. A large flat-screen TV and a home entertainment system complete this leisure enclave. 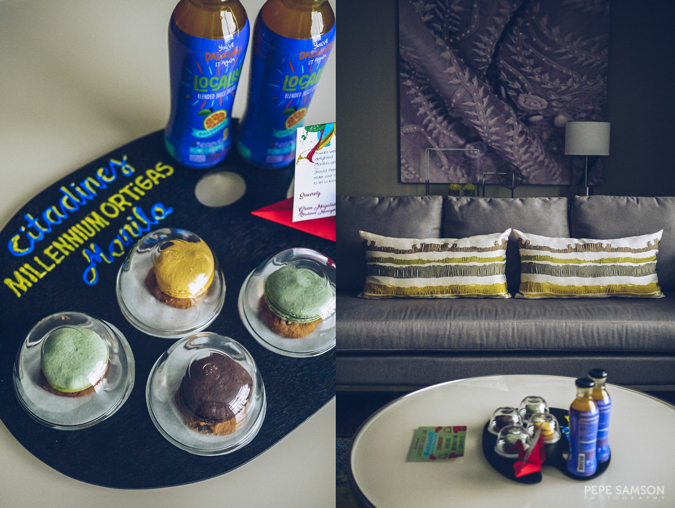 And look—the cutest welcome treats ever! 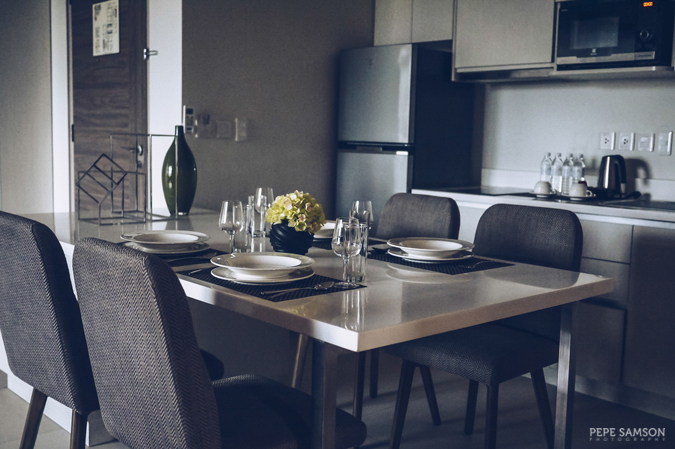 Just nearby is the dining area fitted with a table that can accommodate 4 persons, complete with dining set up—perfect for entertaining guests. 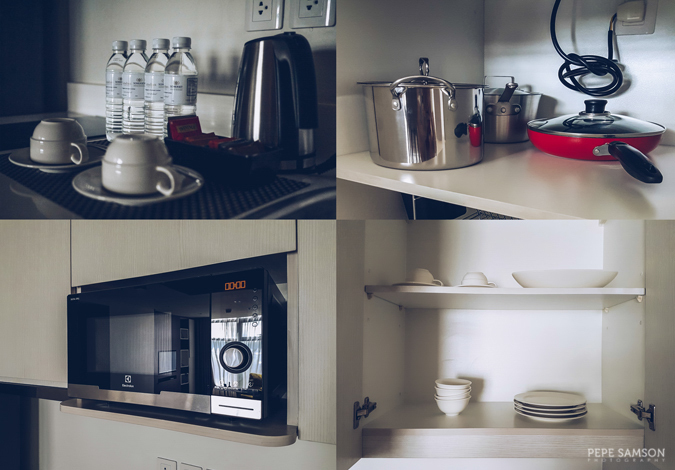 The kitchen is well-stocked and should delight long-staying travelers: there’s a stove with hob and hood, microwave, induction cooker, toaster, electric kettle, and refrigerator—as well as glassware, china, cutlery and utensils. Cooking tools are also available so guests who prefer preparing their own meals will surely not run into any problem. 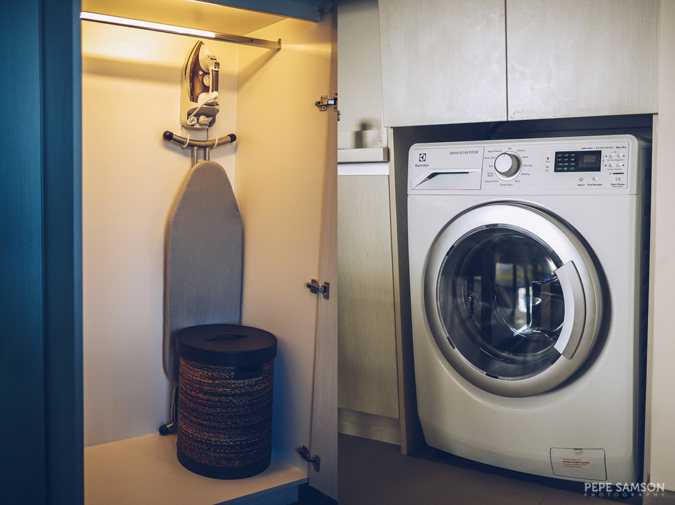 A washing machine and a dryer complete the arsenal of appliances. 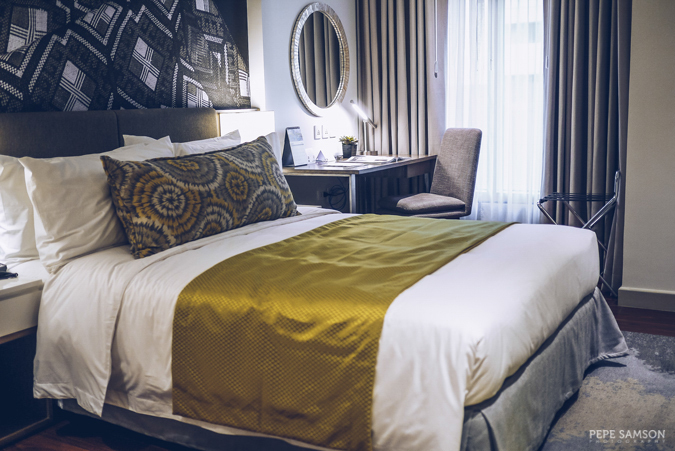 The bed is hidden away in a separate room—a King-size bed with silky soft sheets and fluffy pillows, the kind that makes you just want to sleep in all day. 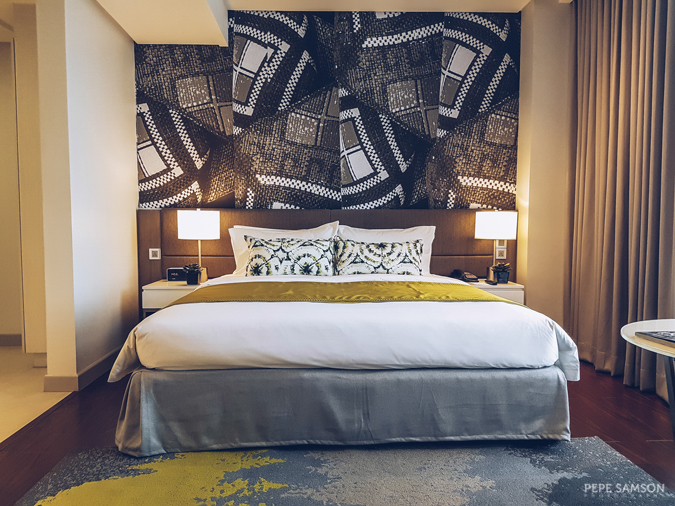 There’s an artwork above the bed—and in fact, each unit has a unique piece. 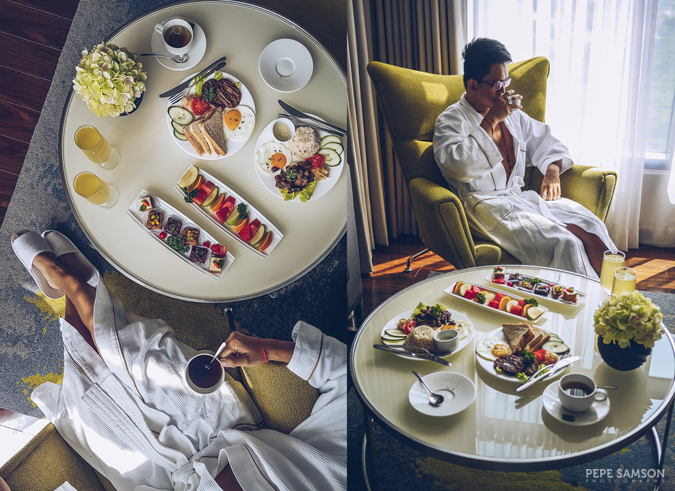 There’s a flat-screen TV; a workstation; a closet with bathrobes, bedroom slippers and a safe; and full-length windows that bathe the room with light in the morning. 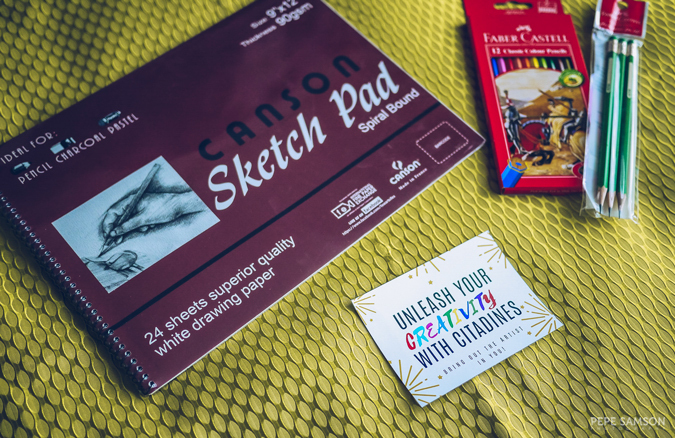 Here, more presents awaited me: an art set composed of pencils and a sketch pad. Oh I missed my drawing days again! Adjoining this is the bathroom, small and compact. 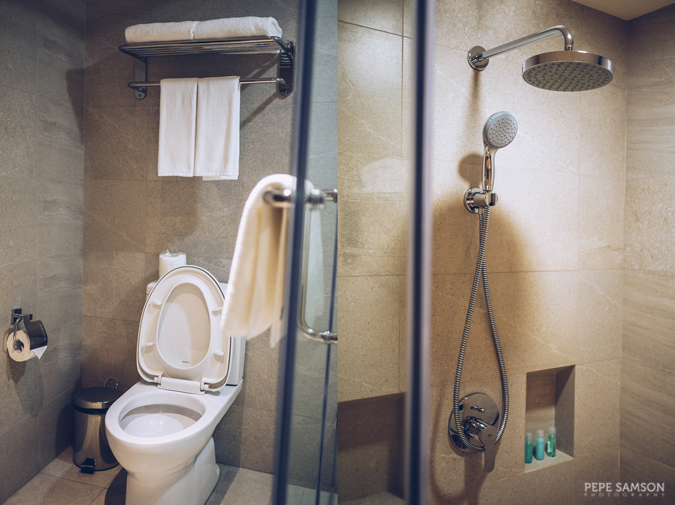 It features a vanity area with toiletries, a toilet (no bidet), and a walk-in shower. 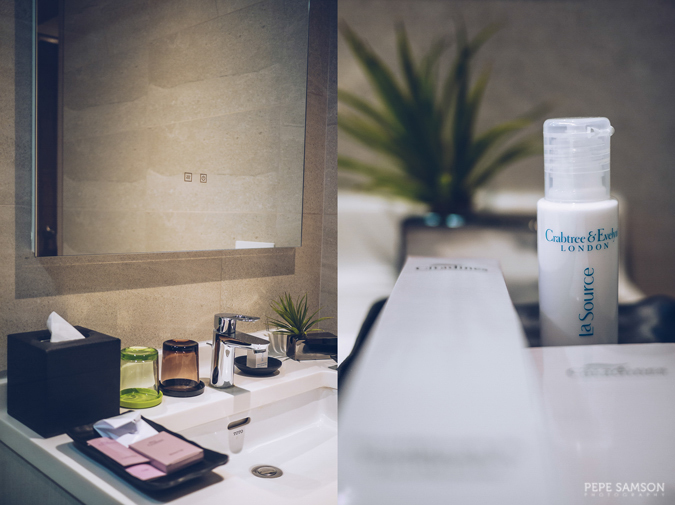 But while Ascott’s bathroom is more spacious and luxurious, this one at Citadines is more straightforward—perfect for busy travelers eager to head out and explore the vicinity. 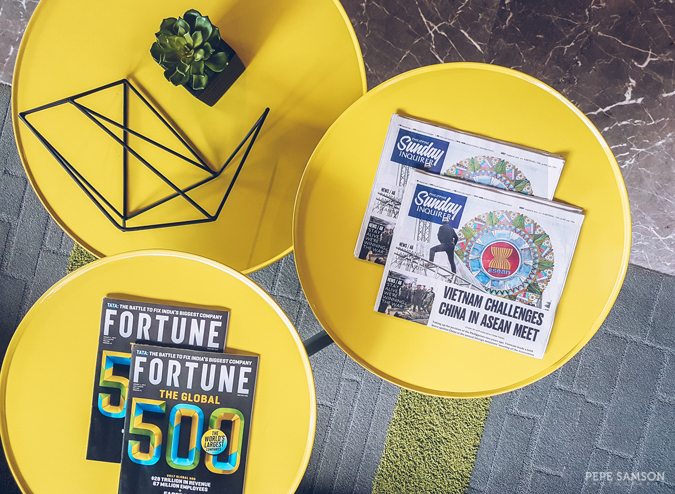 Wi-Fi is fast and reliable, perfect for business travelers and millennials who want to be always connected. 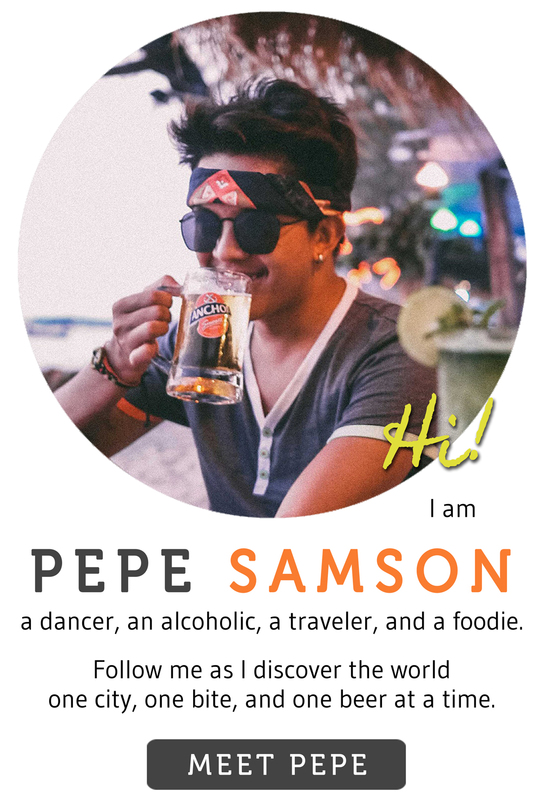 Curious what other units look like, I requested for a mini hotel tour. Check out the other room categories below! Studio (check rates) - minimalist and straightforward. Studio Executive (check rates) - a bit bigger than the studio, with a sitting/dining area. 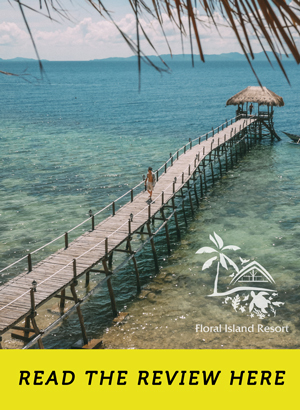 3-Bedroom Deluxe (check rates) - perfect for families; equipped with 1 King-size bed, 1 Queen-size bed, and 2 twin beds; there's a living area, dining area, kitchenette, and 2 bathrooms. 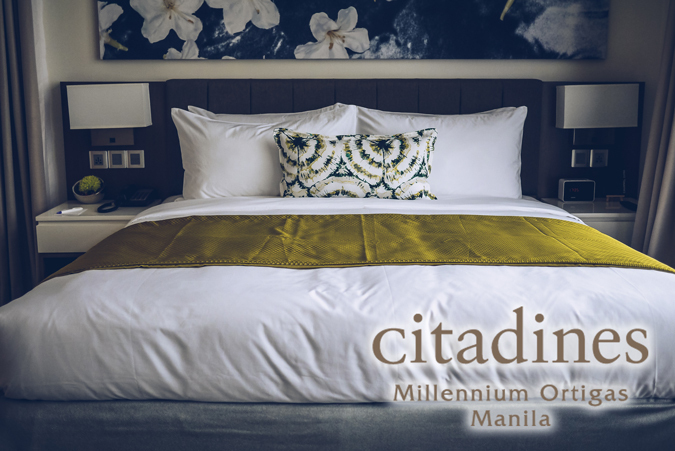 Click here for discounted room rates at Citadines Millennium Ortigas Manila. 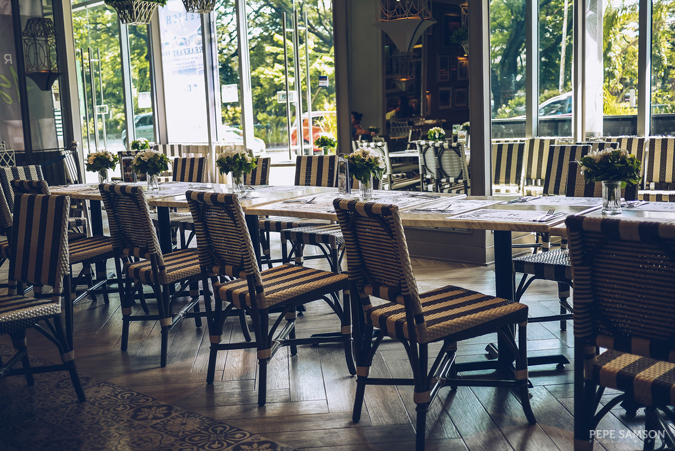 Guests checked-in at Citadines Millennium Ortigas are entitled to complimentary breakfast at Relish Luxe Café, the hotel’s all-day dining restaurant. 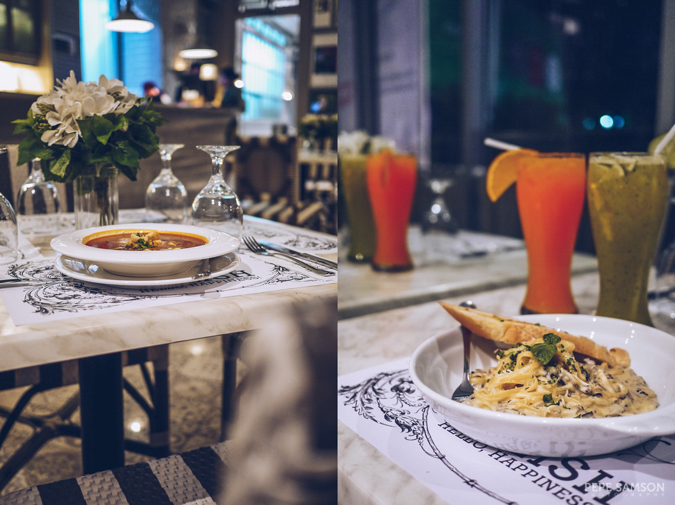 I love the ambience of this European-themed restaurant—in the morning, it is cheery and at the same time lazy, whereas in the evening, it transforms into a romantic, chic space perfect for both family dinners and dates. The interiors are elaborate, with striking, matching pieces. 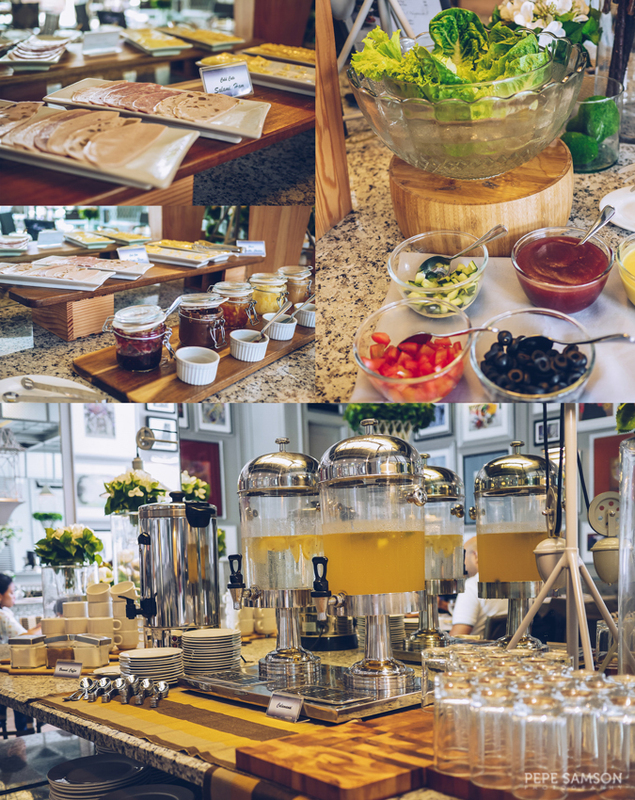 Breakfast here is semi-buffet—meaning there’s a small spread of items like breads, pastries, cheeses, cold cuts, drinks, and desserts alongside a list of plated breakfast sets from which guests can choose. 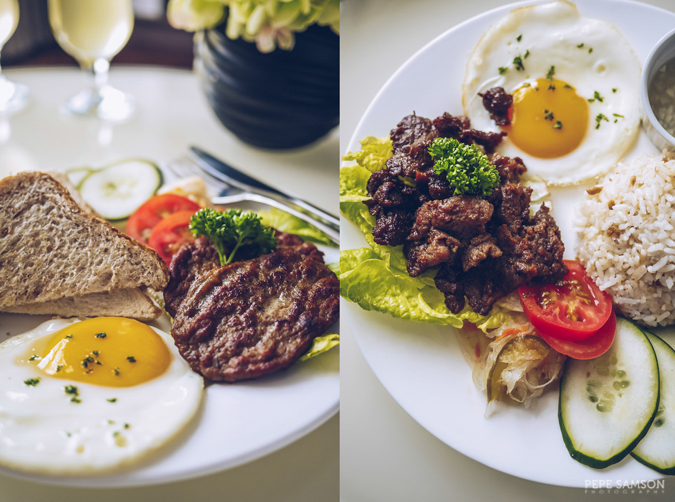 I had the Breakfast Sausage Patties set composed of 2 tasty beef patties, an egg, side salad, and toast. 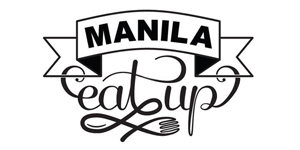 My brother, on the other hand, got the delicious Beef Tapa paired with garlic rice, egg, and side salad—can I just say that the vinegar dip is soooo good? Both plates were actually extremely good that we didn’t find the need to eat any of the appetizers from the buffet. We did try the desserts, and we loved the revel bars, brownies, and carrot cake. 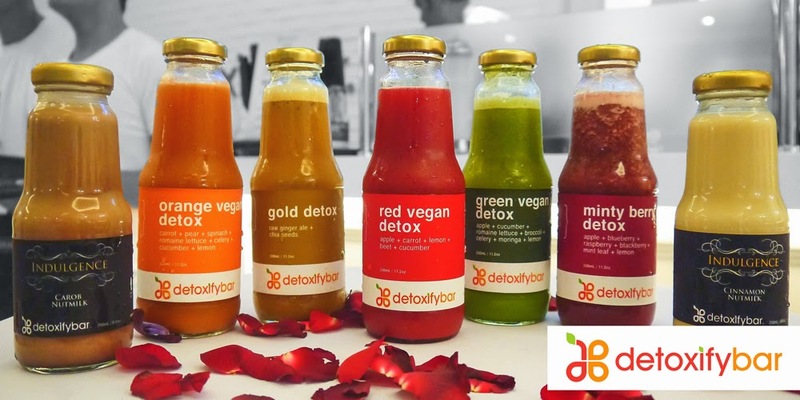 Fresh fruits are in order too, of course! 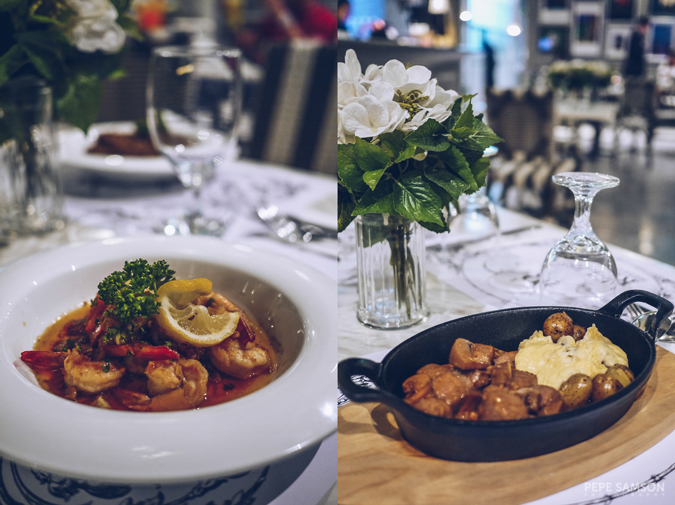 We dined in Relish for dinner as well and tried a variety of items from their a la carte menu. The Roasted Tomato Basil Soup is an excellent and hearty way to whet up the appetite. 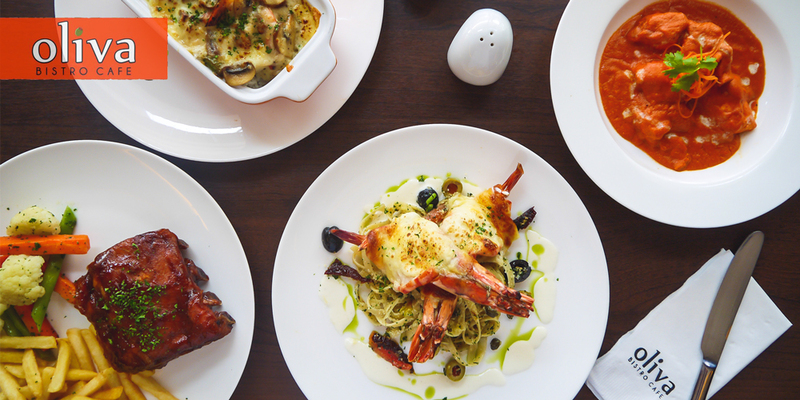 If you like truffle pasta, order the Wild Mushroom with Truffle Oil, which is one of the best I have tried. 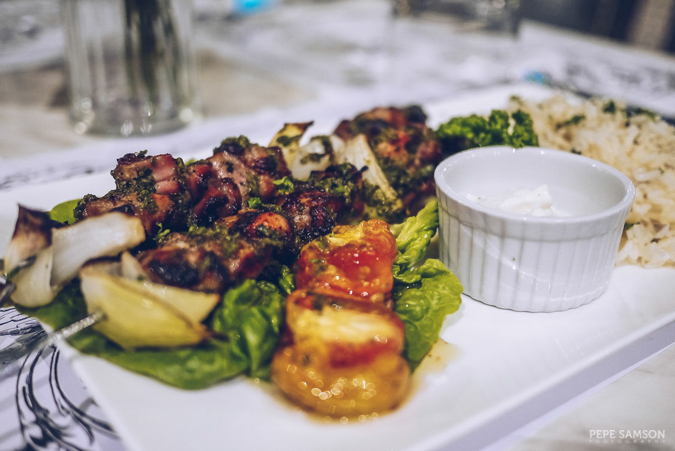 I couldn’t decide which is better between the mains my brother and I tried—my garlicky Wagyu Beef Cubes with Raclette or his very tasty Chimichurri Chicken Kebab; I guess you’ve got to try both when you visit. 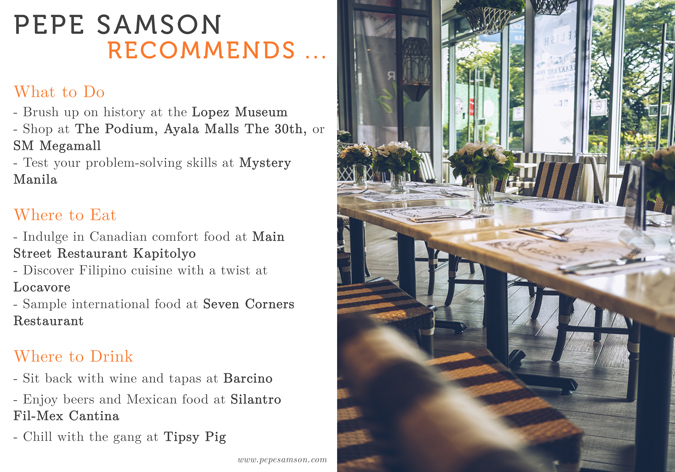 If you simply want a laid-back night of drinks, get their Gambas or Salpicao and order from their extensive wine list. For lovers of Japanese food, Citadines also houses Aburi Japanese Restaurant. 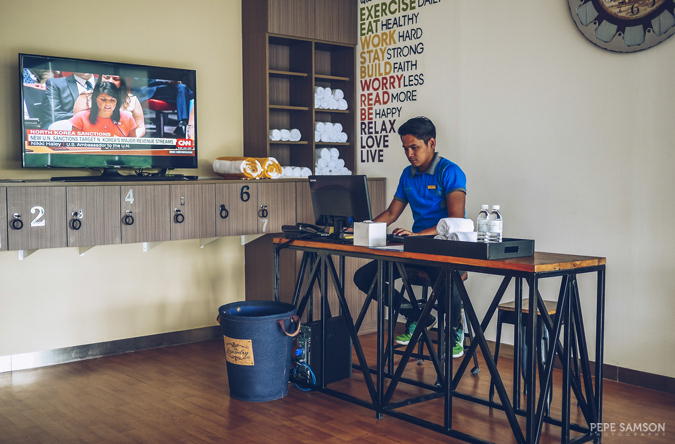 The hotel’s 3rd level houses the wellness and recreation facilities of the hotel. 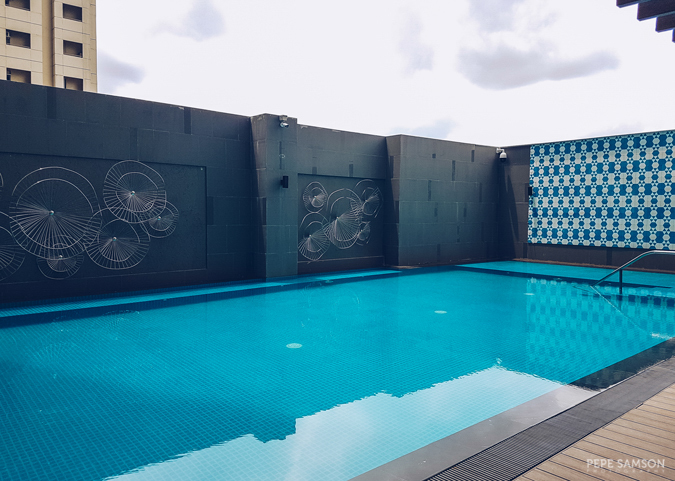 Hop out onto the deck and take a dip in the outdoor Swimming Pool—whether you seek a quick morning workout or an afternoon slowdown session, the pool is the best spot to hangout in. 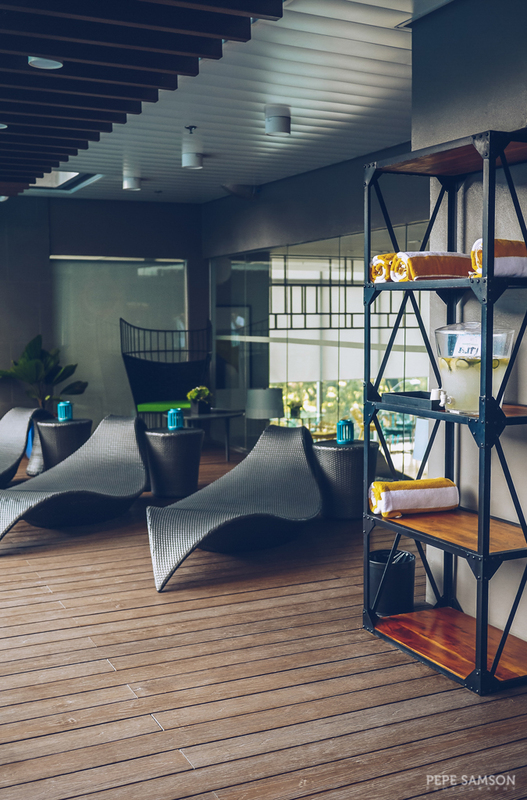 Several lounge chairs bedeck the area, where guests can read, nap, or enjoy refreshments from the adjacent Juice Bar. 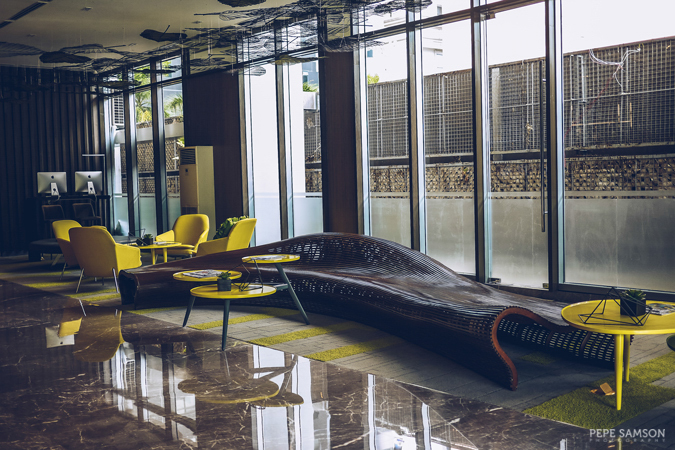 Just a short walk away is the Residents’ Lounge, boasting of vibrant colors and pieces that are, for me, conducive to doing some work. 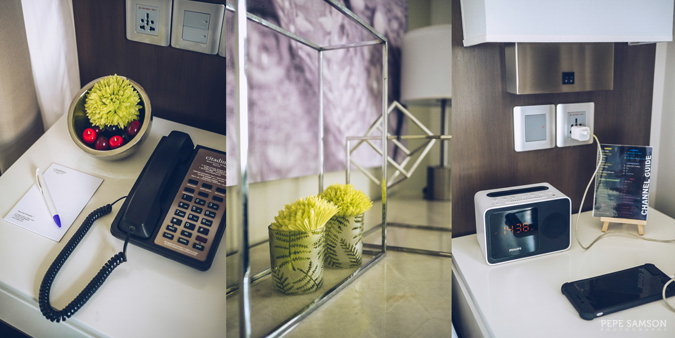 Here, checked-in guests can also entertain visitors and conduct casual meetings. 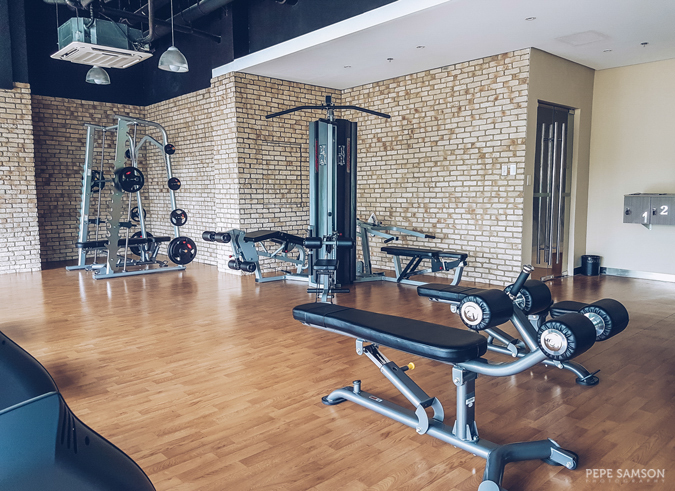 The Fitness Centre is right at the back, fitted with a good number of resistance machines, free weights, and cardio equipment. I absolutely loved the brick walls that gave the area a rustic, energetic vibe. 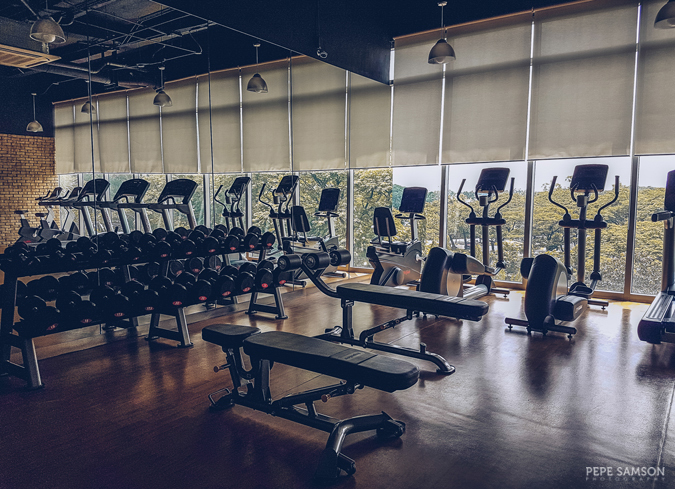 There’s an entire wall of windows as well, filling the room with sunlight and affording gym-goers a view of the trees outside. The instructor on duty when I went, JJ, was very helpful—he assisted me while I worked out, and even gave fitness tips! 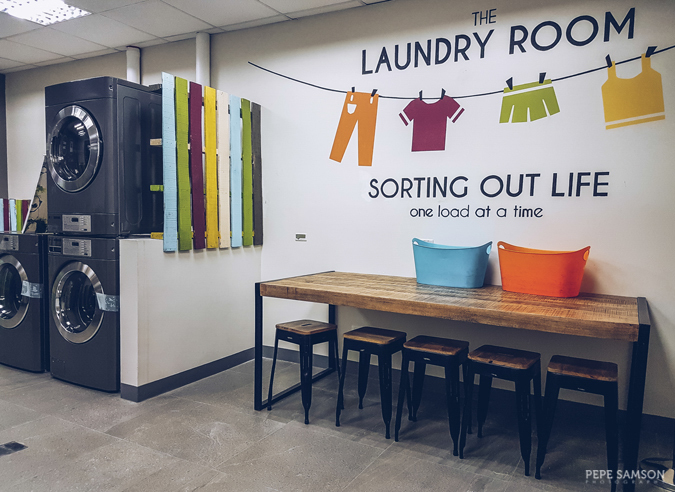 Studio units don’t have laundry facilities in-room, but guests staying in such units can use the Launderette equipped with coin-operated washing machines and dryers. For long-staying guests, this is a more economical option rather than paying for laundry service. The hotel’s Business Centre and meeting rooms are still in the works. 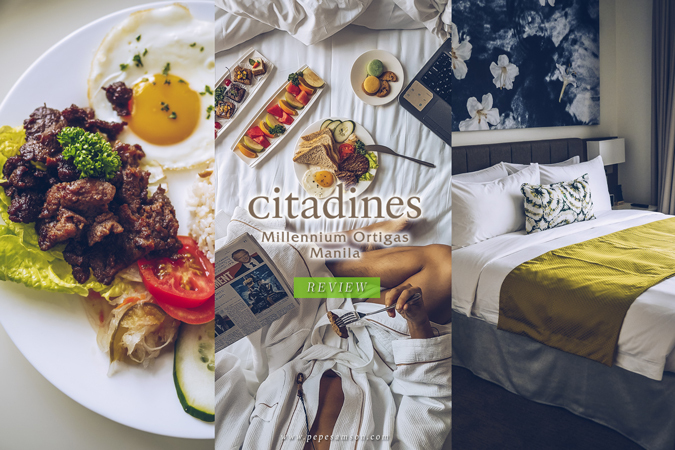 Whether you’re a design aficionado, a fast-paced traveler, a young executive on official business, or simply someone looking for a memorable staycation in Ortigas, Citadines Millennium is definitely a hotel that should find itself in your options list. Its design can pass off effortlessly as an art gallery, and its amenities easily whisk you away into comfort. 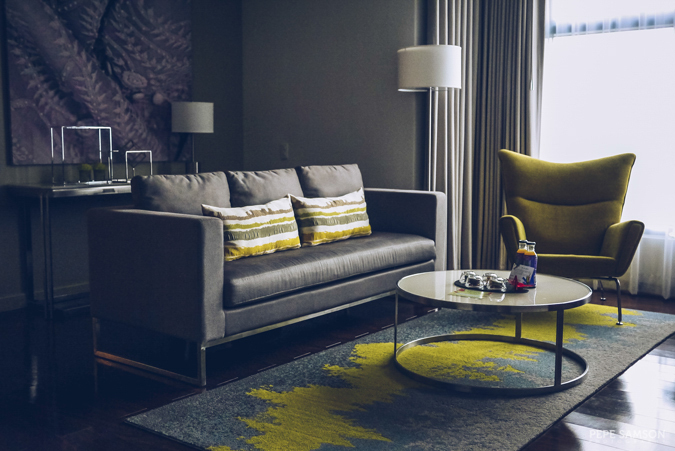 It’s centrally located, perfect for travelers who want everything within easy reach. I love how large the rooms are—with plenty of space for guests to move around and even invite visitors over. The staff are attentive but not obtrusive, giving me privacy when I need it even in the hotel’s public premises. 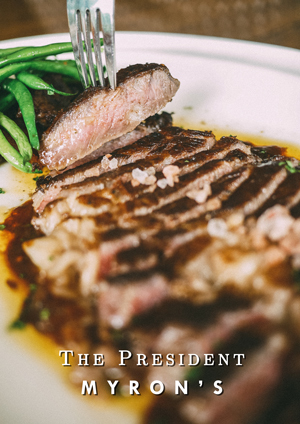 Best of all, it’s a sophisticated and lavish experience that does not come with a steep price. 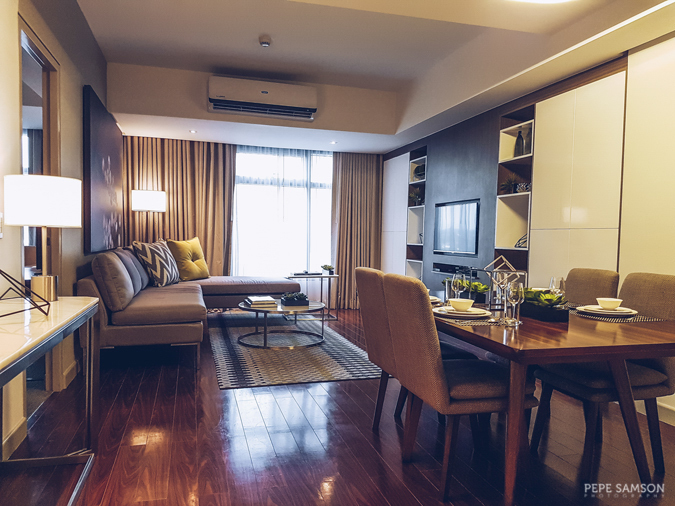 The apartments are chic, modern, lavish, well-appointed, but straightforward. Friendly front office staff; well-trained F&B folks. Their plated breakfast sets are delicious! 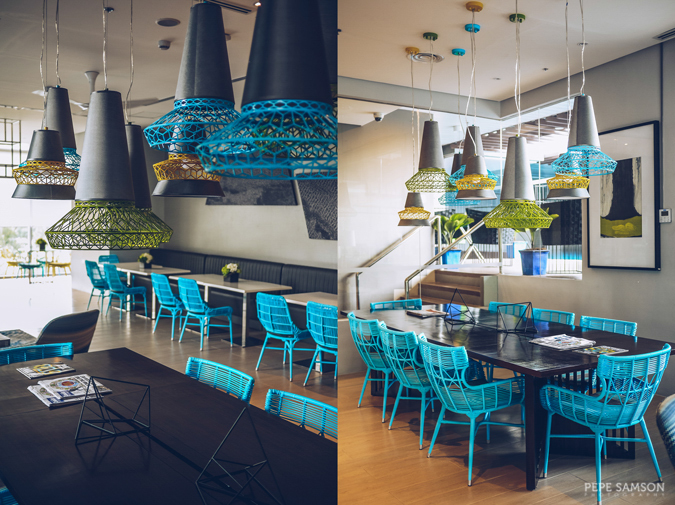 I love the artsy vibe all throughout the hotel—artsy but approachable. Near business, leisure, and transportation hubs. The perfect home for people who are fast-paced and always on-the-go. 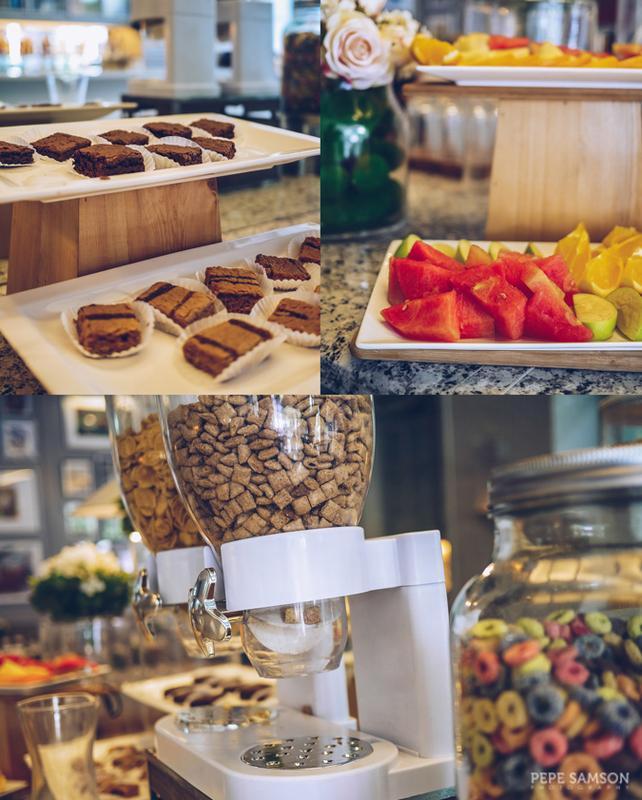 Add some mini-bar items like snacks and sodas. 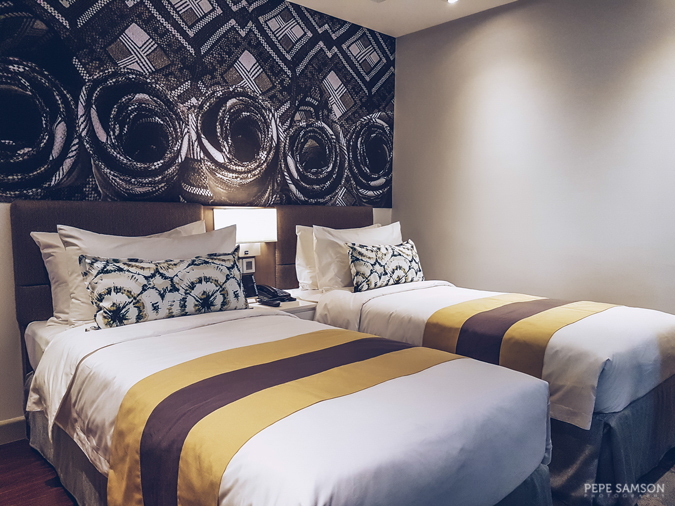 Click here to find the BEST room rates at Citadines Millennium Ortigas Manila. 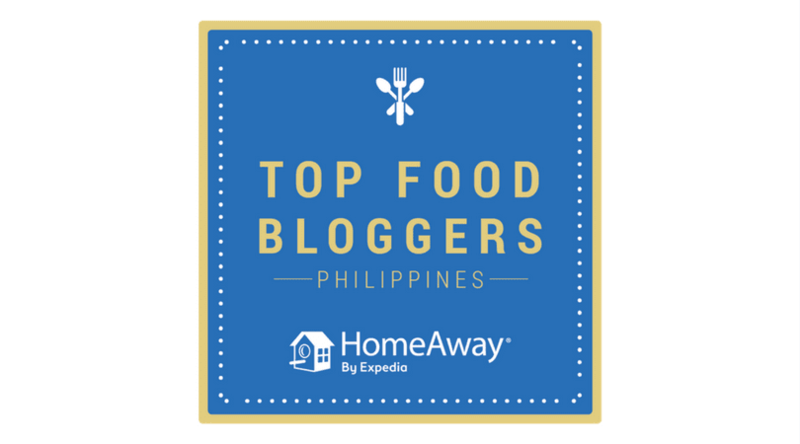 Have you stayed at any Citadines property in the Philippines or abroad? 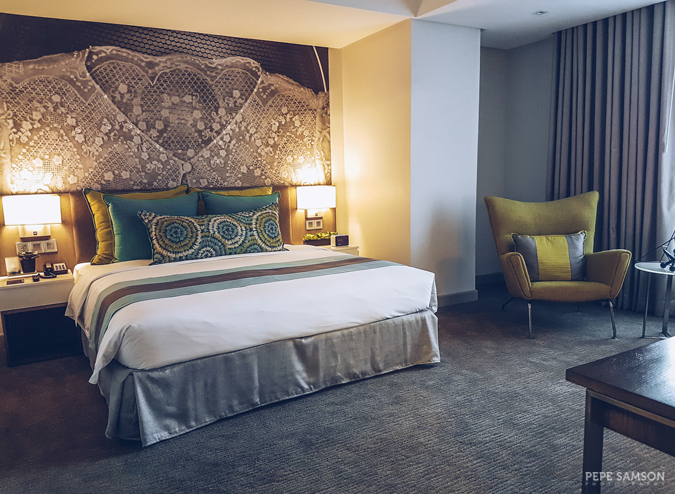 What do you think about the newly opened Citadines Millennium Ortigas?